The only thing more satisfying than buying the perfect gift is buying the perfect gift at a steal of a price. We totally get it, and that’s why we’ve put together a gift guide featuring our top 10 gift picks, each under $30. Click here to visit the Eve’s Addiction blog and get all the details on these trendy, affordable pieces. Your gift recipients (and your wallet) will thank you! Post-Thanksgiving holiday shopping season is here! Don’t get caught in ridiculous lines or mobs with lots of rushed and disgruntled people. Do your holiday shopping online from the comfort of your own couch! 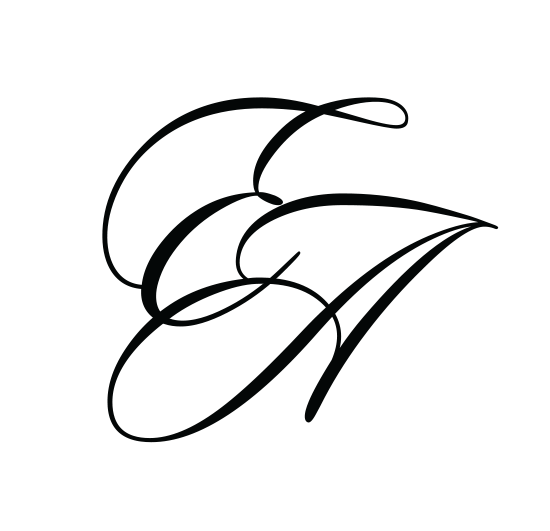 This weekend, take 20% off everything sitewide at EvesAddiction.com. Just use code ‘GIFT20’ at checkout! Happy shopping! If you’re giving monogram jewelry as a gift this year, here’s another great supplemental gift! If you or someone you know has a great deal of personalized or monogrammed jewelry, but no place to store it all, this pretty and affordable gift sounds just right for you! This engraved jewelry box from Beau Coup can be personalized with a name, script monogram or block monogram, and it shines in a beautiful metallic silver. It’s smart to have a jewelry box dedicated to protecting and maintaining the shine of your sterling silver jewelry. It gives you somewhere to keep your treasured pieces where they won’t get banged around or left exposed to the air to tarnish. A jewelry box is a great gift for someone who owns lots of jewelry, and why not give an extra special gift and include a piece of monogrammed jewelry inside the jewelry box? Now there’s an awesome Christmas gift! Give your loved one a full monogram experience for the holidays. There’s a new fashion-forward and budget-friendly player in the monogram game! Just in time for the holidays, we’re excited to share our brand new tortoise shell acrylic monogram necklace! This trendy monogram pendant comes in three sizes (1.25″, 1.5″, and 2″) and is personalized just for you! Acrylic monograms have a much preppier style than their traditional sterling silver or gold counterparts. They’re a great, fun piece to add to a more casual outfit, and they’re super affordable to give as stylish, personalized gifts! Tortoise shell pattern is a great neutral that can be worn with any other color, from neon brights to black and whites. It is not ostentatious, but still makes a fun, personalized statement. Of course, if acrylic is not for you, there are still plenty of precious metal monogram necklaces for you to choose from! Animal prints have been a hot style on-and-off for years, but this fall the style is back ON in a big way! Animal print accessories are the hot item for fall. Leopard print has been all over flats, scarves, and even jewelry. 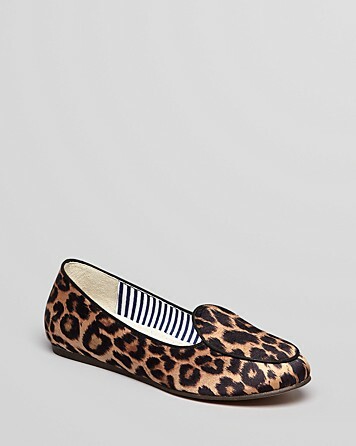 Leopard loafers, particularly ones with hairy textures, have been a big hit so far this season. However, this trend is heating up so fast that pieces are going past animal print and featuring other animal qualities! The hottest item of the moment are cat-embroidered flats. These do not feature cat print, but rather have the face of a cat embroidered on the toe! These adorable flats pictured to the right even have cat ear cut-outs to add to the animal aesthetic. Scarves are always a fall staple, which allow them to participate fully in the animal print hype. You can go bold with an obvious leopard print in traditional golden yellow and black, or opt for something a little more tribal chic with mixed animal prints and non-traditional colors, like the green and orange mixed animal print scarf below. Jewelry is one of the most fun ways to wear animal print this fall. You can mix and match all sorts of pieces with all sorts of outfits; jazz up some solid neutrals with a leopard print ring, or mix prints within your outfit combining cheetah flats with a zebra scarf and a tiger print ring. How will you wear animal prints this fall? Share with us your best wild find and how you’re styling it this season!